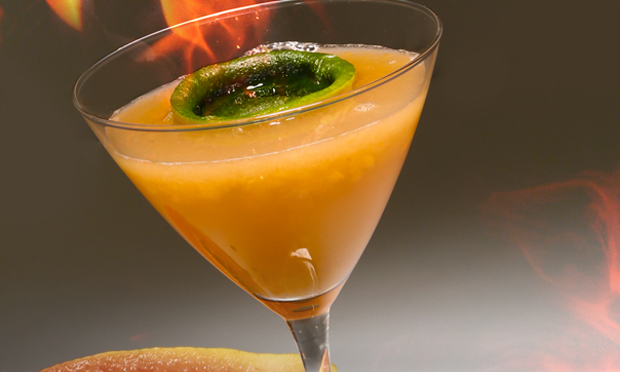 Make your own flavored sours mix for this “FireDancer” cocktail! For this deliciously delicate cocktail the trick is all in the mix- papaya sours mix that is. Making flavored sours mix is easy and brings a ton of flavor to cocktails in one pre made mixer instead of muddling or infusing to get the papaya flavor into the cocktail. 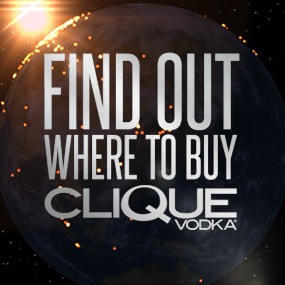 With just few easy steps you can have a delicious sours mix that you can keep in your fridge for up to a few days- and even longer if you throw in a couple shots of Clique Vodka! To get started, split a ripe papaya down the middle and spoon out all the seeds and stringy flesh (pretty similar to how you would start carving a pumpkin). Spoon out the soft flesh until you have about a cup of it, and toss it into a blender. Add in 1/2 cup of fresh squeezed lime juice (but save those halves for later! ), 1/4 cup fresh squeezed lemon juice, and 1/3 cups simple syrup (1 part sugar dissolved in 1 part hot water) or a little more if you prefer your cocktails on the sweet side. Pulse a few times until you attain an even consistency and funnel into a bottle. 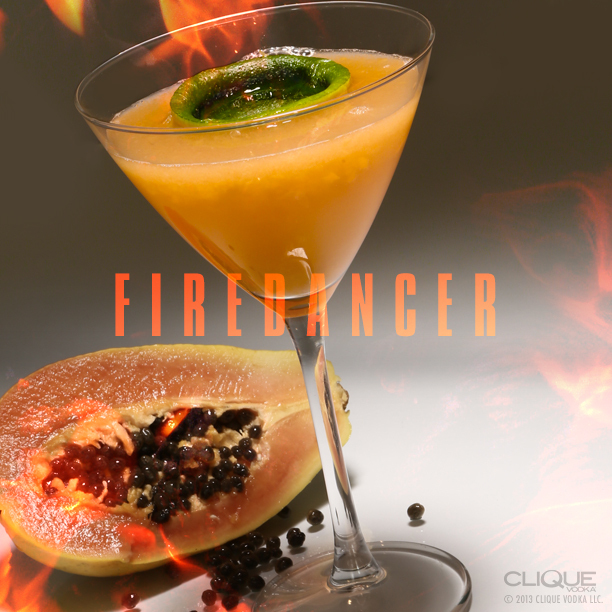 For the “FireDancer” cocktail, shake 1 1/2 oz of your papaya sours mix and 2 oz of Clique Vodka over ice in a cocktail tin until refreshingly cold. Strain into a chilled cocktail glass. To garnish- take one of your lime halves (leftover from juicing) and slowly flip it inside out to make a small floating bowl. Dribble a tiny bit of 151 proof rum into the bowl, and carefully light it on fire with a long grill lighter. To drink, blow out the flame and either tip the rum into the cocktail, or pick it up and shoot it, using your “FireDancer” as a chaser! Not a huge fan of papaya? 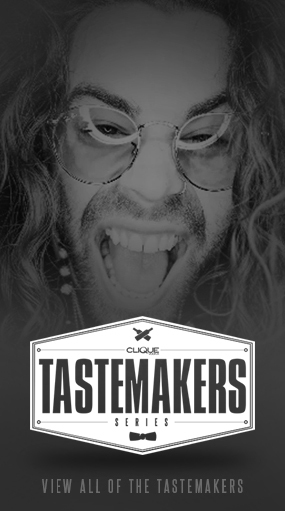 No problem, try making tropically flavored sours mix with pineapple, gauva or kiwi instead!